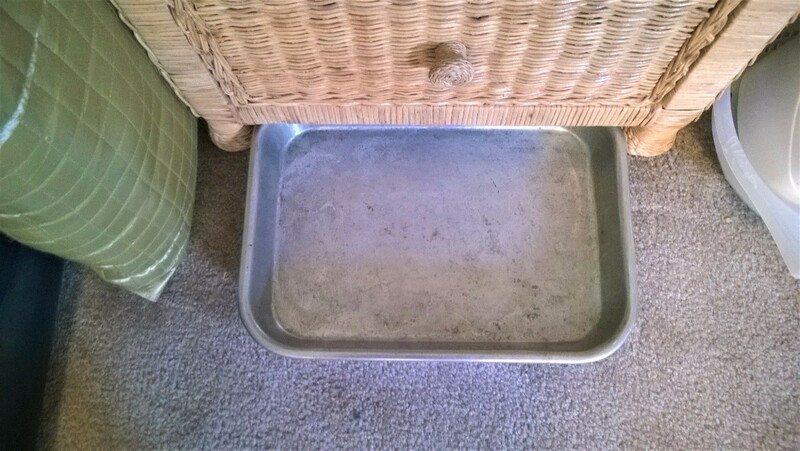 I am moving and sat a stack of cake pans near my side table for donating. The pan slid a bit under my table and inspiration struck! 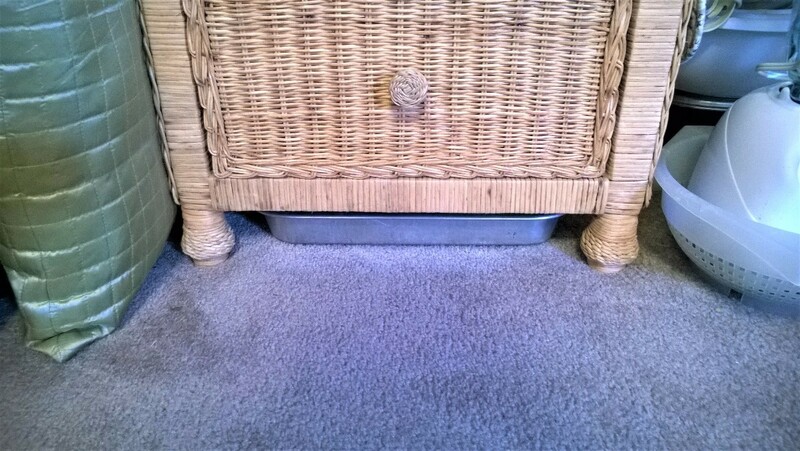 If you have a nightstand that has legs like mine, you too can hide things you want to keep close but unseen. You can use a cake pan, painted or covered with something pretty. Also good is a box from the stores that they empty when displaying tuna or cat food. Things you can put in it are crochet projects, articles to read, your tablet/kindle with the charger through the back, your favorite book and more. I hope this inspires you to use every little space you have to keep your home tidy and organized! What a great idea! I never would have thought of that. Thanks. Then my job here is done !